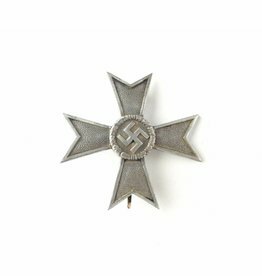 The cross is a nice 'Buntmetall' example and comes with its original ribbon. The cross is not visible maker marked. This is a War Merit Cross 1st Class with Swords. This is a Buntmetall example in good used condition with catch and pin.